Alpha Media Holdings, one of the largest media houses in Zimbabwe, recently launched a SMS news services called Mobi News. The service delivers news summaries to subscribers for US 80 cents a week. 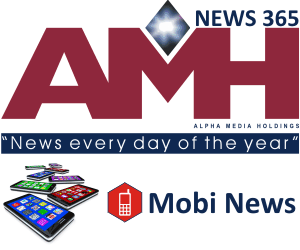 Mobi news launches more than a year after one of AMH’s main rivals, the government owned Zimpapers media group, launched a similar service which is still running. Unlike the Zimpapers service though, which is provided through the largest mobile operator locally (Econet), AMH’s is provided via Telecel, the second largest locally. Being network exclusive no doubt limits the size of market the media houses can reach. Worse so for AMH that can’t tap into the provider that has more than 60% of the mobile subscriber market share locally. We imagine this is not by choice; networks locally have been known to not provide neutral access to their networks easily. Anyway, to subscribe, prospective users just need to SMS “Yes” to a given number. We’re guessing unsubscribing is a “No”. The Mobi News launch happens at a time that publishers locally are looking for ways to retain relevance beyond just print. Alpha Media particularly has been deliberate about a new Digital First strategy. Alpha publishes two daily newspapers – NewsDay and the recently launched Southern Eye – and two weeklies, The Standard and The Zimbabwe Independent. The 4 publications all have internet versions. The company also maintains active presence on Social Media platforms Twitter and Facebook.